Here is Quartz Materials China Manufacturer talking about What Is The Polishing Technique Of Quartz Glass Lenses. 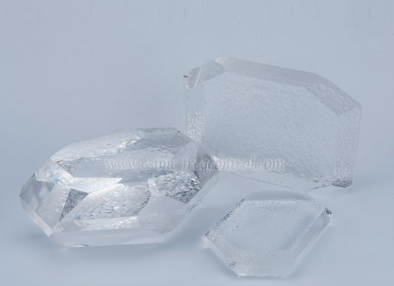 If you have any idea about Quartz Materials for Glass Lenses, welcome to contact us and discuss. After the quartz glass lens is finely ground by the grinding liquid, it has a crack layer of about 2–3 m thick on the outside, and the method of eliminating the crack layer is polishing. Polishing and grinding are the same. The material used is different from the polishing liquid. The materials used for polishing include flannel, polished leather, and asphalt. Usually, the high-precision polishing surface is used. The commonly used data is the primary polishing asphalt. The use of asphalt for polishing is based on the excessive appearance of the asphalt, mobilizing the polishing liquid to grind the surface of the lens to generate heat, melting the glass, melting the rough poles and filling the bottom of the crack, and gradually removing the crack layer. At present, the polishing powder used for polishing glass lenses is mainly cerium oxide. The proportion of polishing liquid distribution varies according to the polishing period of the lens. At the initial stage of polishing, the polishing liquid with higher concentration is used in combination with the polishing mold. After the light, use a thinner polishing solution to prevent the orange peel from appearing on the mirror surface. Polishing is the same as the moving mechanism used for grinding. Except that the polishing is different from the task liquid, the conditions required for polishing are more severe than those of grinding. The things to be noticed during ordinary polishing are as follows: the appearance of the polished asphalt and the polishing liquid do not contain impurities, otherwise, the mirror scratch will be formed. The appearance of the polished asphalt should conform to the appearance of the lens, otherwise, it will jump when polishing, so the polishing powder is bitten and the lens appearance is scratched. If you are interested in Quartz Materials Wholesaler, please inform us tech@csimc-freqcontrol.com. NextWhat Are The Technologies In The Production Process Of Quartz Rods?